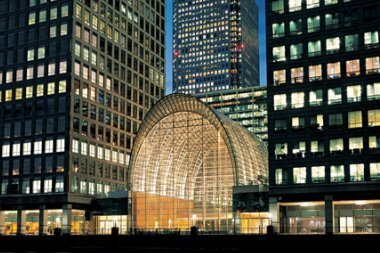 Careers for Women in Tech and Consulting takes place at The East Wintergarden, which is in the heart of Canary Wharf, and one of the most accessible areas of London, just metres from the Jubilee line. Travel to Canary Wharf station on the Jubilee Line. Exit the station via the West Exit (signposted Docklands Light Railway) up the large escalators straight ahead up to street level. Turn left at the top of the escalators, heading towards Jubilee Park and Bank Street. which leads you to the main doors of the venue. Travel to Canary Wharf station on the Docklands Light Railway. Take any of the stairs that lead down from the platforms to the concourse level of the station. Exit the concourse area through the door that leads to the South Colonnade. Turn left and cross the road at the pedestrian crossing, turn left and follow the road along until you reach some stairs (on your right) leading down to Reuters Plaza (the one with the clocks). pedestrian crossing. You will be able to see the East Wintergarden in front between two high-rise buildings. Cross at this crossing which leads you to the main doors of the venue. Travel to Heron Quay station on the Docklands Light Railway. On arrival at Heron Quay station take the stairs/escalators down to Street level, exit onto Bank Street (between 20 & 25 Bank Street). Turn right and continue up Bank Street passing the West Wintergarden and 40 Bank Street on your right with Bank Street on your left. East Wintergarden is located directly after 40 Bank Street and before 50 Bank Street. The Promenade Room is accessible via the East Vestibule which is the door to the left of the main entrance, straight down the corridor to the room on your left.